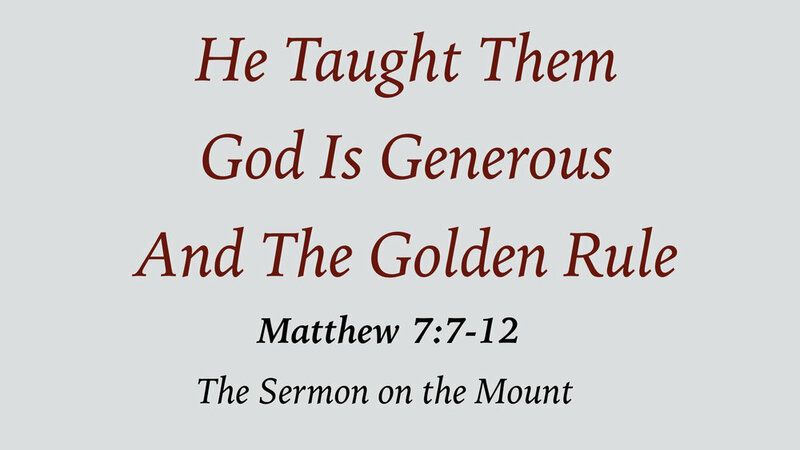 Golden Rule is the pinnacle of moral conduct. Jesus pointed out the great generosity of God in preparing us for this highest of all callings. As God has been generous to us, we are called to be to others.